Which Nespresso compatible pods or capsules are the best to buy? Will they break my machine? The information provided is for indicative comparison – we recommend you visit each site and make up your own mind. Data accurate as of Dec 2016. These are all questions that come to mind when you consider buying compatible pods/capsules for your Nespresso machine – and for good reason! Read on for our tips on selecting the right pods for you. 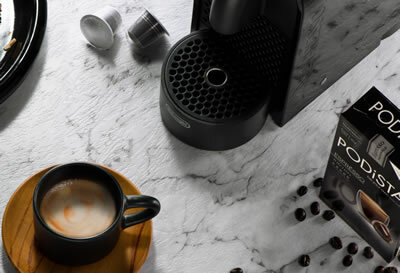 Nespresso has spent many years building up its customer base of coffee lovers, from an ever increasing amount of Nespresso machines on the market, to opening new stores (as well as the famous George Clooney ads!) More recently many companies have sprung up manufacturing their own Nespresso compatible pods – selling them at discount to Nespresso’s own. Double check any references to compatibility, some capsules work great in specific models of machine e.g Delonghi but not in another brand. The pods we sell are compatible with all current Nespresso makes/models but that’s not the case for all companies. You may think this is stating the obvious but also double check that your current pods are actually “Nespresso”, there are now many types of machines on the market including Dolce Gusto and Tassimo – this can be quite confusing for customers as the pods aren’t the same. This varies a great deal, with Nespresso being one of the highest! Look around at postage charges, do you feel they are fair/do they offer discount the more you buy, is there a minimum order? We try to be fair by reducing the postage the more you buy. With no minimum order. Check out the companies reviews, for example we are proud to have 4.8 stars – mugpods reviews. Consequently check other companies – are they rated well by their customers? 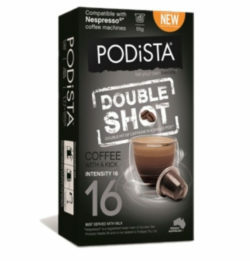 Finally, look at the pricing – a lot of compatible pods/capsules are around 20-30% cheaper than Nespresso, but make sure you take into account both the individual box prices and postage combined. 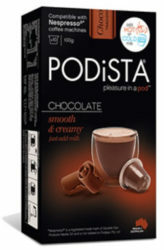 Disclaimer – Nespresso® is a registered trade mark of Societe Des Produits Nestle SA and is not related to Mugpods Ltd. Previous post Making a Mint Hot Chocolate with Nespresso!